Geoff Surratt, director of Exponential, wrote a book titled Ten Stupid Things That Keep Churches from Growing. Great title, so I, ummm, borrowed it. Here are what I believe are the top 10 stupid things that prevent groups from growing or doing anything truly worthwhile. Consuming. Groups who focus all their attention on themselves grow … fat. But they don’t grow up. They are consumer groups who, like Violet Beauregarde in Willy Wonka and the Chocolate Factory, swell up into something completely useless, to be rolled away by Oompa-Loompas. Healthy groups focus on others, which leads not only to the Golden Ticket, but to real maturity. Concentrating on study and knowledge. Yeah, it’s ironic that this is a stupid thing that keeps groups from growing, but it’s actually true. The apostle Paul said, “Knowledge puffs up (there’s Violet again), but love builds up” (1 Cor. 8:1). James said not to just listen to God’s Word, but to actually do what it says (James 1:22). Forgetting that Jesus really is present when you meet. An unhealthy group sets its own agenda or falls into the agenda of strong or very needy group members. Healthy groups remember that Jesus is present and meet for his purposes and with his power. A meeting mentality. A great group is way more than merely a meeting. Focus on mission and ministry, not just on holding meetings. A leader who leads from knowledge, abilities, or personality. Groups that grow are led by leaders who are growing in their own relationship with Christ. This is their #1 priority. They lead out of the overflow of what God is pouring into them. Solo leadership. Groups that grow, really grow, have leaders who share leadership with a core team of a few others. These groups not only grow, they multiply more naturally. Arms-length relationships. People often get into small groups because they want friends with whom they can do this Christian life. They may not say that or even totally realize it, but that’s what they’re really looking for. When they don’t get it, they’ll go somewhere else. People grow spiritually in an an environment of real-life community [translate, “friends”]. Groups grow when groups are friends, not just acquaintances. No ownership. In stagnant groups, people show up empty handed and leave without contributing anything to the rest of the group. In a healthy group, everyone participates and contributes. Group members use their gifts and involve their passions. Each person has a role in the functioning of the group. No plans or goals. Dormant groups live by default rather than design. They live in reactive rather than proactive mode. An assessment of the groups at our church showed conclusively that when groups know who they are, what they are about, and where they are going, they grow spiritually and numerically. If your longest range plans are who is bringing what kind of cookies to next week’s meeting, you’re probably stuck, and that’s stupid. Taking Yourselves Way Too Seriously. Nobody wants to come–or keep coming–to your humdrum small group. Loosen up. Laugh together. Play some music and have a dance off. Change the regular order of your meeting agenda–or just throw out the agenda. Be creative. That’s my 10. What stupid things that keep groups from growing would you add? Scroll down to comment! I had no idea Violet was in Scripture, but it's unmistakably there. Your list is pretty comprehensive. 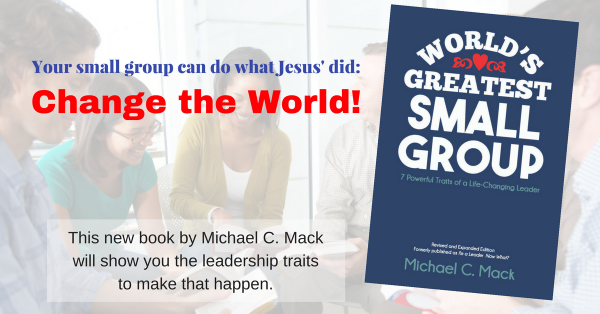 It's challenging to add much more, even though I think there are 100s of ways that small groups can get derailed. This could go under your first point, but refusing to multiply can be a large issue for some groups. Some groups just click and no one wants to start a new group because of what they're getting out of their current group, yet that's the one thing that most likely needs to happen. Those groups are really missing their Kingdom purpose. The Kingdom grows as leaders are reproduced and step out (of their comfort zones) to multiply. Is this part of the "cost" of following Jesus?